Ana Alves is an accomplished South Florida Agent who brings a strategic yet personable approach to the home buying and home selling process. Ana has built a reputation for her refreshingly friendly customer care and proven ability to guide buyers to obtain the best value for their dream home and to assist sellers to a smooth, stress-free sale of their home. 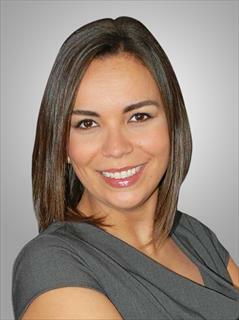 Growing up in South Florida Ana has extensive knowledge of the different cities and neighborhoods across South Florida. Ana specializes in home buying and selling, investment properties, luxury homes, new construction, multi-residential properties, senior relocation, residential rental, and property management. As an experienced agent, Ana understands that buying and selling is one of the biggest decisions in a client's life and views representation and guidance of her clients through this process as a true privilege.